Concrete blocks are commonly used for the construction of building walls and retaining walls. Concrete blocks, particularly those with hollow cores, offer various possibilities in masonry construction. Filling some or all of the cores with concrete, with or without reinforcing steel, offers much greater resistance to bending and loads. Such a construction system is called a reinforced hollow block wall and it is widely used for the construction of large external and internal walls and retaining walls. 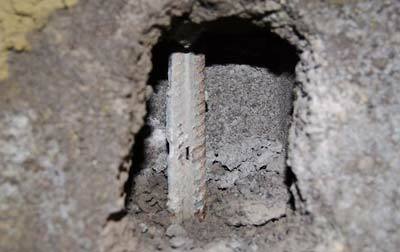 In hollow block reinforced wall construction, the blocks should be laid and bonded so that the cores align vertically. By placing reinforcement in the cores and then infilling with concrete, the masonry becomes a solid composite of block, concrete and reinforcement which has strength similar to that of reinforced concrete. 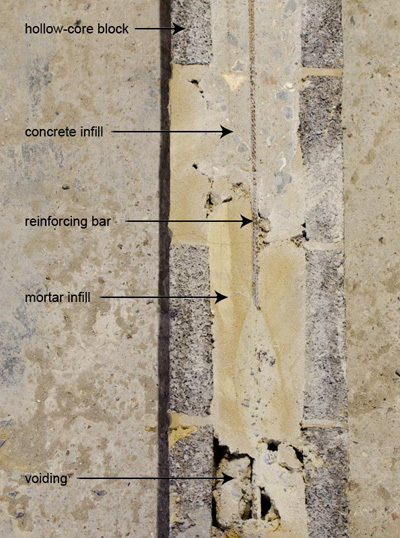 Major performance and durability problems can arise if the reinforced cores are not completely filled with concrete, or if specified reinforcement is missed. 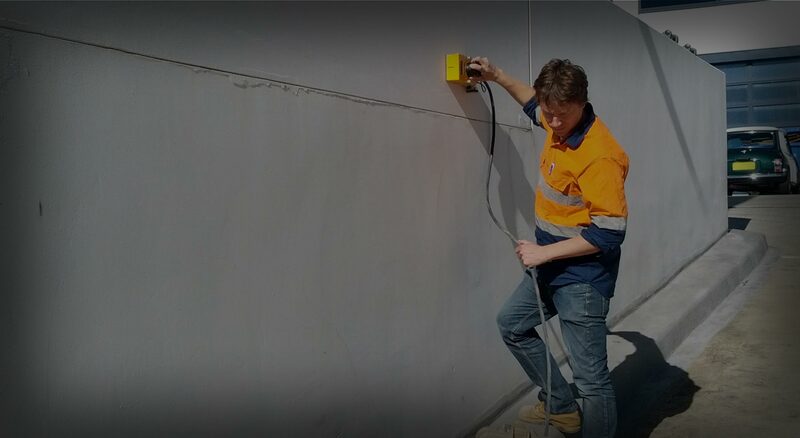 Concrete Scanning Services was commissioned to scan a 3m x 8m block wall in order to detect any voids, or missing reinforcement. 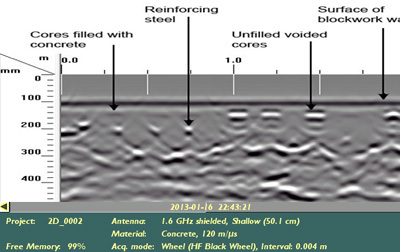 Due to the ability of Ground Penetrating Radar (GPR) to detect changes in the subsurface, including voids and steel reinforcement, it is an ideal survey technique to identify voided cores and missing reinforcement. The site survey is non-intrusive, quick and cost efficient. Data is collected onsite and the processing and analysis is completed offsite to identify voided or unfilled cores and missing reinforcement. Results are presented in a comprehensive but straightforward scanning report containing diagrams and images.